The Venue is the Elgin Grabouw Country Club which is a one-hour drive from Cape Town and 45 mins from Cape Town International Airport. Take the N2 from Cape Town, pass through Somerset West and head over Sir Lowry’s Pass. At the Peregrine Farmstall turn LEFT towards Grabouw. At the stop sign turn RIGHT and follow the signs to the event. If you have shopping to do, Grabouw has got food markets and liquor stores. PLEASE remember no glass bottles, braais or gas cookers are allowed on site. The entire festival will be run on the Howler cashless system. You can load money onto your wristband in advance online or at multiple spots at the festival. Shade for your camping set up. Swimming gear. Floaty toys. Costumes for the various themes! No glass bottles – PLEASE respect this – there will be searches for any glass before you enter the arena. Personal alcohol can only be consumed in the campsites due to new SA licensing laws. You won’t be able to bring alcoholic drinks or cooler boxes out of the camping areas. 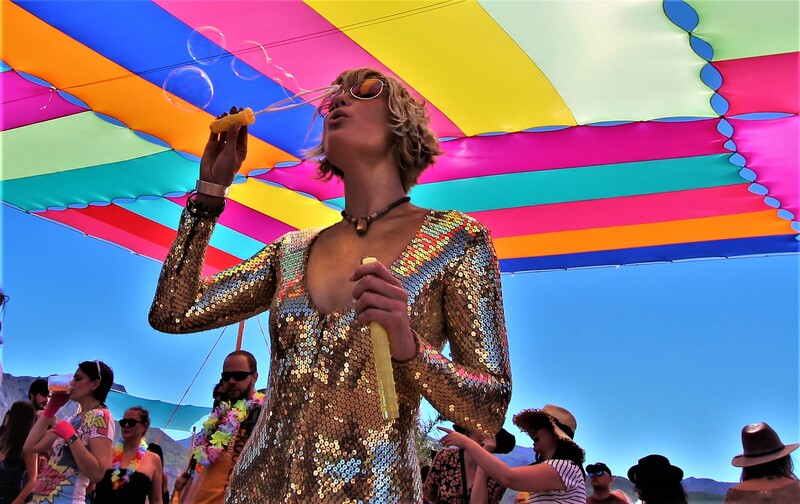 Bazique is a collective of people – we are all in it together – and as much as we want you to have a good time with as few restrictions as possible, there are certain things that we cannot allow due to safety and legal reasons and there will be searches to enforce this. Please don’t bring any of the following! Glass bottles. Cookers of any description. Braais. Flares. Fireworks. Illegal drugs. Dogs or any other animals. Non-biodegradable sunscreen. Drones. Bazique is a NO UNDER 20’s event and this will be enforced at the gate. If you look younger than 23, please bring your ID to make your entry to the event nice and easy. No, there are weekend passes only. Bazique is an immersive 3 day experience – come and enjoy it! If you don’t have camping gear, there is a super cheap option for you to camp at Ready Set Camp for 2 people for R650, as well as several other Glamping options. Otherwise, you could buy a weekend pass and then just come in and out each day as you please, there are also lots of reasonably priced guest houses close by. Please see the sections above here as to what we recommend you do bring and what not to bring. What’s the weather like there in March? Pretty much guaranteed sunshine all day with warm evenings and almost no chance of rain. Average temperature is around 26 degrees daytime and 15 degrees nighttime. It can get a lot hotter in the days, up to 32 degrees, so be prepared. Why do I need to bring biodegradeable sunscreen? So we don’t leave a greasy film on the lake from people swimming. But if you don’t have any, don’t worry, we will give it away for free at the event. We will release the full line up with set times in due course. Is there any room on the lineup? Yes , plenty – please bring your bottles to fill up at our watering holes. There will be only be large 1.5L water bottles for sale at Bazique, to try to cut down the amount of plastic we use. The music finishes at sunset on Sunday and you will have to leave the campsite and venue.